Are you looking for a unique gift for this 2018 holiday season? Not feeling socks or ties? Tired of kitchen utensils and gift cards? Want to give something different? Something unique? Why not consider a DJI drone from Verydrone? These versatile and very cool little flying machines appeal to a very wide range of people. With so many available options, choosing one might be overwhelming to say the least, so we’ve got a few tips to help you find the right drone for those lucky people on your shopping list. For all your drone needs, your friends at Verydrone have you covered. For children of at least 8 (recommended), the drone should have propeller guards and be safe for indoor flying. You can find small, lightweight quadcopters for less than $30, that can do 360 flips and rolls safely in the house but a much larger but still pretty basic drone is the DJI Spark. It’s easy to fly and comes with tons of easy-to-use features. One cool feature of this drone is that you can connect to your phone so you can fly it in “First Person View.” You can also plot a route and the copter will follow it. Keep in mind while this drone is larger it’s still very light and can get blown away by a strong gust of wind. The DJI Spark comes in a variety of colors such as Meadow Green, Alpine White, Sky Blue, Lava Red and Sunrise Yellow. For the holiday season it’s for sale at only $349! And if someone on your list is really really into aerial photography, the Spark’s bigger more powerful brother, the DJI Mavic 2 might be the right choice. 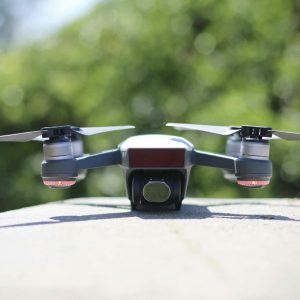 Although it’s more expensive than the Spark, this dynamo will fly for 25 minutes on one battery, capture stunning 4K shots, and fold into a tiny self-contained unit when not flying. With tons of accessories, the DJI Mavic Pro & DJI Mavic Pro Platinum are on top of many Christmas lists this year! If you want to give an amazing holiday gift to someone who’s serious about aerial photography or a photographer, hiker, real estate agent or anyone who needs to take super high quality and professional photos and videos, we have an option for every budget and skill level here at Verydrone. Give us a call anytime at 954-580-9551.